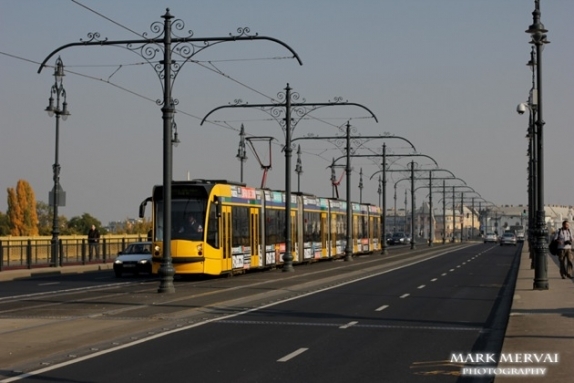 Margit híd or Margaret Bridge (sometimes Margit Bridge) is a three-way bridge in Budapest, Hungary, connecting Buda and Pestacross the Danube. 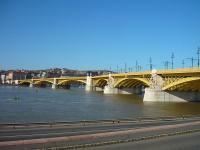 It is the second northernmost and second oldest public bridge in Budapest. It was designed by French engineer Ernest Goüin and built by the construction company, Maison Ernest Goüin et Cie. between 1872–1876, the engineer in charge being Émile Nouguier. 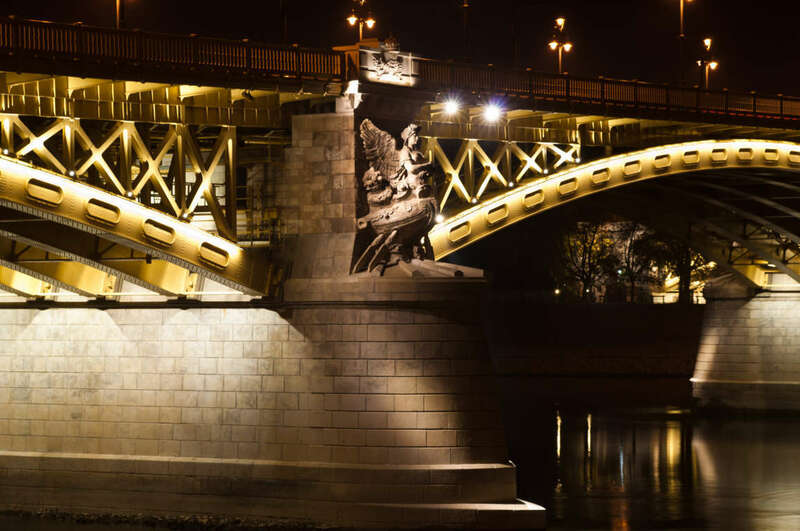 Margaret Bridge is the second permanent bridge in Budapest afterSzéchenyi Chain Bridge. This bridge leads up to Margaret Island, its two parts enclosing 165 degrees with each other at the embranchment towards the island. The reason for this unusual geometry is the fact the small extension to connect to Margaret Island was hastily inserted into the original design but not built until two decades later due to lack of funds. Germanus Gyula park (stop of Szentendre HÉV; Lukács Baths and Király Baths are nearby). It is 637.5 m in length and 25 m in width. 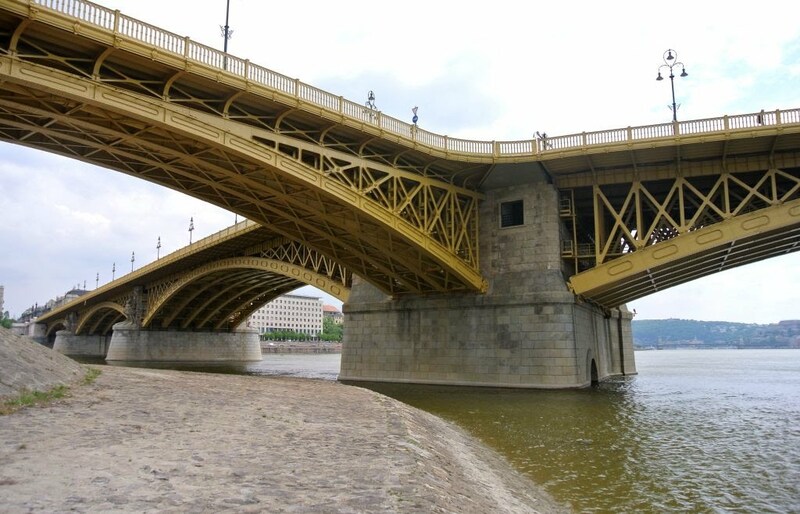 All the bridges of Budapest were blown up by World War II Wehrmacht sapper troops in January 1945 during their retreat to the Buda side of the surrounded capital. 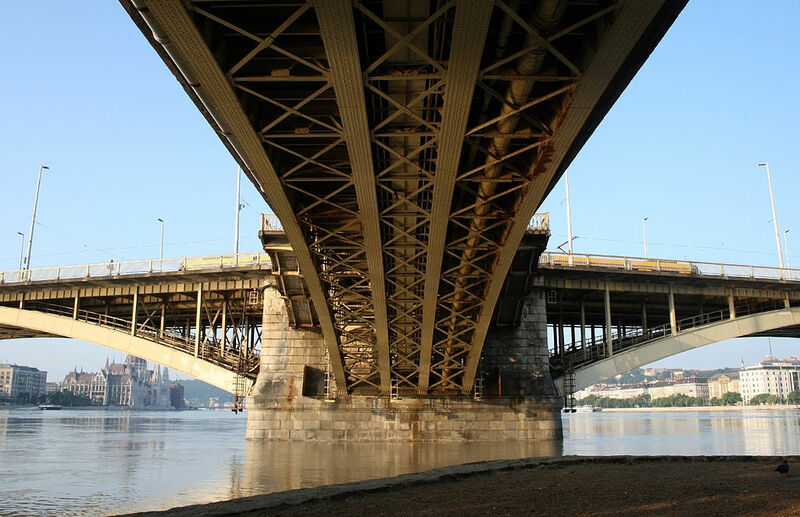 However, Margaret Bridge had been damaged by this time, on 4 November 1944, when an accidental explosion destroyed the eastern span of the bridge. 600 civilians and 40 German soldiers died. During reconstruction, much of the original steel material was lifted from the river and incorporated into the rebuilt structure. 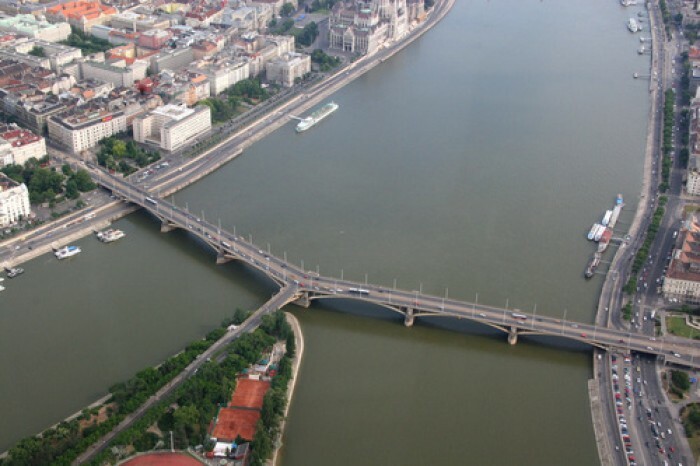 Margaret Bridge was Budapest's most heavily worn bridge over the Danube when its total overhaul began 21 August 2009. It was closed to road traffic for at least a year, but trams maintained partial service over the bridge using temporary track. 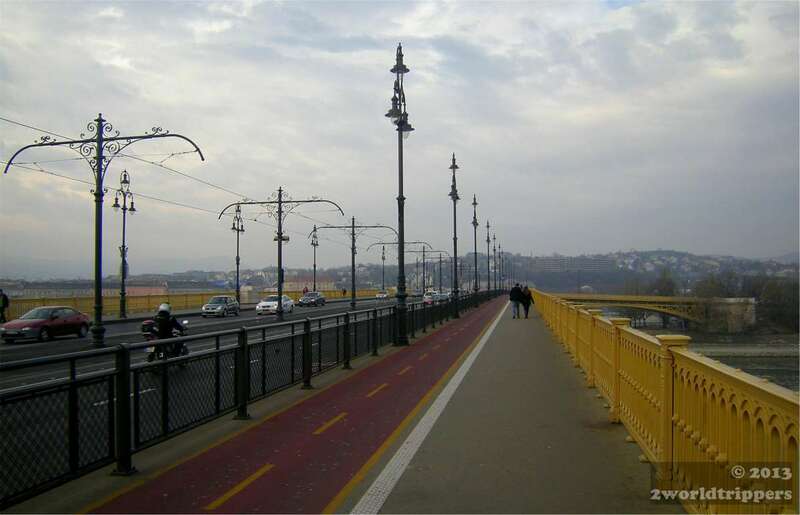 The works are finished now; pedestrians, motor traffic, and trams use the bridge again. Soon after the bridge was inaugurated, it became a preferred spot for people seeking to take their own lives over personal or financial troubles. The wave of suicides inspired János Arany, a renowned Hungarian poet to compose a ballad, "Híd-avatás" (Bridge Inauguration), about the jumpers. It was widely distributed in leaflet format, illustrated with Mihály Zichy's romantic styled intricate pencil drawings.